Graduating Diamond Necklace with 105 diamonds set on white 18K White Gold by NINACCI and sold by Bayside Jewelry. Any woman who wears this necklace will certainly light up the entire room! 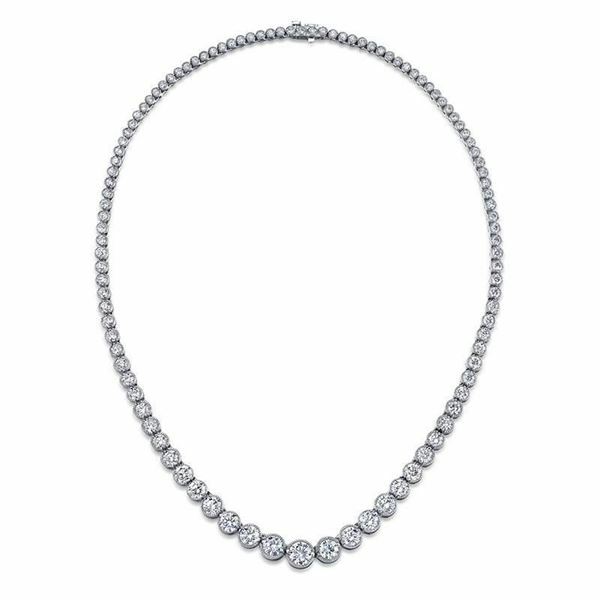 Bezel set on 18k White gold with Milgrain detail sit 105 colorless Round diamonds graduating in stone size. Total weight of 13.88ct.